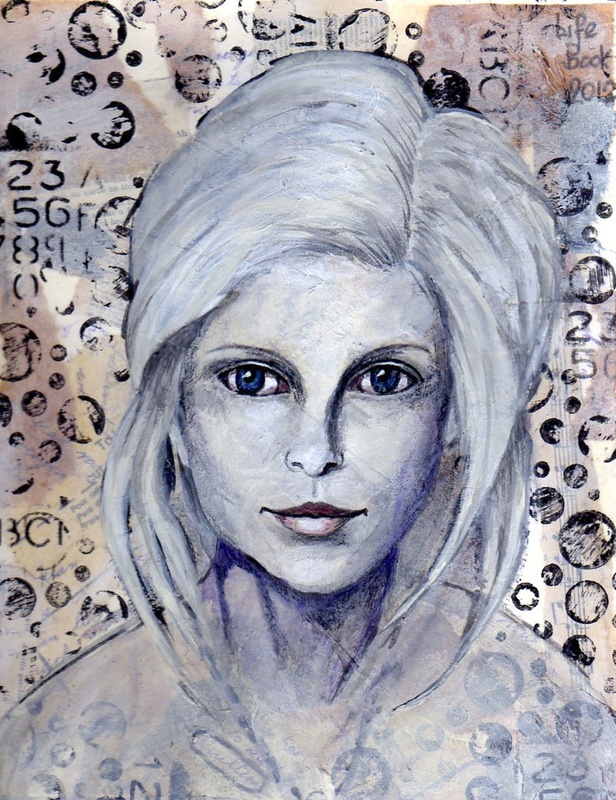 Last year I took an online workshop with Jane Davenport in Australia - who teaches mixedmedia art. 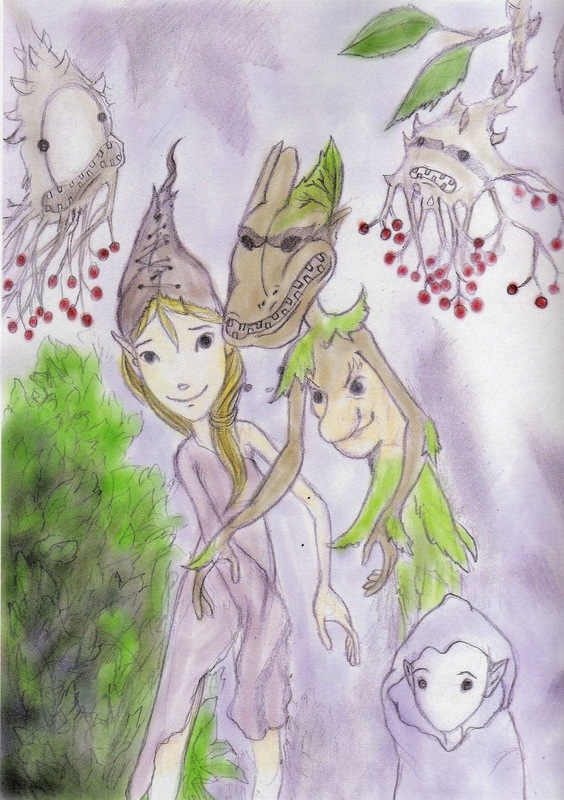 (janedavenport.ning.com) This particular Workshop was entitled Joynal, where we actually altered an old fairy story book, and created new fairy stories in it, whilst painting over the pages with all sorts of imaginery beings. 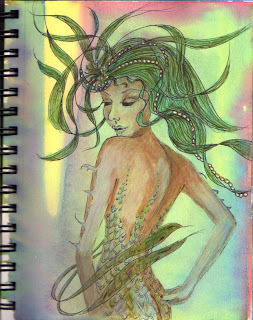 Above is a mermaid - I was practising in my sketchbook. I've drawn on top of a painted background using mostly coloured pencils. These are Girlimals (as Jane puts it) girl animals! They are unicorn girls - again I am practising in my sketchbook. Again I've drawn on top of an already painted background. I painted all the pages of this particular sketchbook some few years back, and am now finding it quite exciting to decide which background to practise on! Well, it took longer than I thought .....! Just popped in to say hello again, after almost a year since my last post. I've been busy learning mixed media stuff - which seems to mean anything you want it to! Here is a mixed media portrait I did recently, using paper collage on watercolour paper, then creating the portrait with loads and loads of acrylic paint. 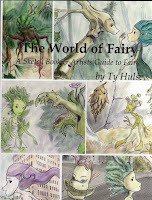 Two or three weeks ago I received an email, our of the blue, from Ty Hulse, asking if I would be interested in reviewing a book she has written - The World of Fairy. As most of you know, I am well into mythology, so of course I enthusiastically agreed. I subsequently received a proof a couple of days ago, and have just finished a most enjoyable read. To quote from the back cover “Inspired by the works of the greatest scholars, this book of sketches represents a journey through ancient beliefs and creatures which are far stranger than you ever imagined”. 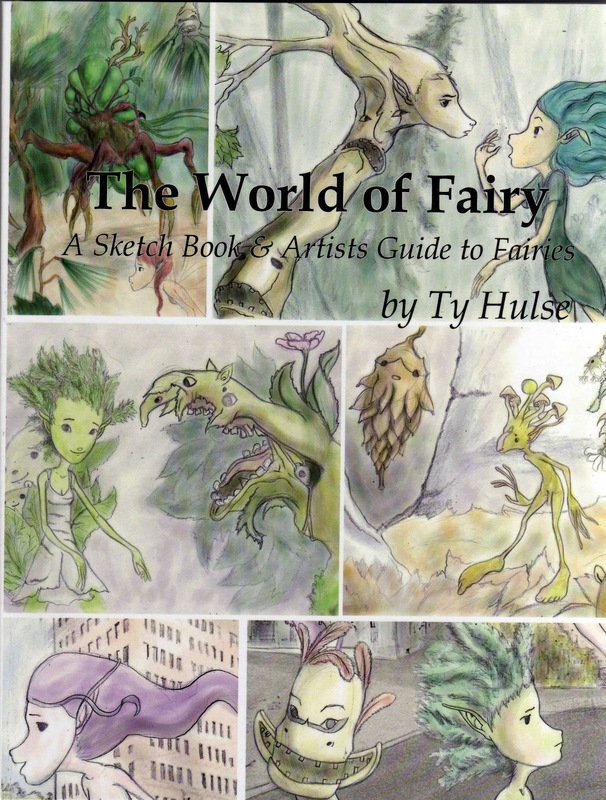 Ty Hulse is a Folklorist as well as an artist, and has spent some considerable time researching myths, legends and fairy stories from all over the world, and has put together ‘A Sketch Book & Artists Guide to Fairies’ which would suit all ages. Whether you believe in fairies or not, to read snippets such as “Because ‘Fairy’ was originally a term used to describe a set of magical beings similar to deities, one can see many ‘fairy traditions’ from around the world, including the Kami of Japan and the Rusalka of Russia” really intensifies your sense of inquisitiveness and desire to find out more! The Author has produced a book filled with anecdotes relating to folklore from every walk of life worldwide, and has illustrated them with beautifully naive drawings, not too pretty and sugary, and not too scary either. She has managed to create a nice balance where each page is very easy on the eye. To view all the research go here - it really is most interesting. The book is due to be published next week, and is available from the same site. I'll be back shortly to share with you what I have been doing since February - my doesn't time fly!! Here we have a scan of my finished collage page. Here we have the same page, now gessoed (you can hardy see the images underneath the gesso) and my drawing of the mermaid over the top of the image. The watersoluble crayon, when adding the water, slid all over the place, and of course you could see my brush strokes through it! I persevered, adding the scrylis to the figure, which thankfully did stay in place. Hey Presto! The finished page, but nothing like it would have been if I'd followed all Tam's instructions. I'm very new to collaging with papers, and still haven't made up my mind whether I like doing it or not, but I am quite happy with this result. Yeah! Yeah! Before you take a sneaky look at my painting, there is a little artistic licence, I must admit. No, not really, just that I used a picture of myself taken about 30 years ago. Well, this week it was about our inner self, and I still feel a lot younger on the inside than I look on the outside!! Anyway it was great fun, and the Workshop was by Kylie Fowler, an Australian Portrait Artist. There are over 1000 of us who have signed on for this Life Book 2012, so from the tutor's point of view it must be extremely difficult to meet everyone's expectations, impossible I would say! Kylie started the video with two black and white computer printed photos the same, but one was a mirror image. We then cut out just the face of the mirror image and transferred it onto the watercolour paper using gesso - this was a first for me. (I'd done it on fabric - not with gesso though) I rubbed rather too much of my face away, but it didn't matter, as the original was there for you to draw the face back in(with biro). The idea was to make a type of cartoon, and fill in whatever you wanted for the hair and body etc. adding a crown or something, as this was representing your Inner Goddess! Kylie's second video was using a printout of her face, stuck onto watercolour paper and then colouring with watersoluble crayons. She used all sorts of weird colours on her face, like olive green, prussion blue and red, as well as flesh, orange and yellow etc. I decided to have a go on my face, and was quite delighted with the results. Kylie's face was obviously still smooth paper when she coloured it, and mine was very 'rubbed up' and rough, but even so, the result of the weird colours I tried stll surprised me, which was the best bit of the whole exercise for me. I'm really not into collaging - not yet anyway!! If you want to join in the fun, click on the moving Logo - it's still not too late! 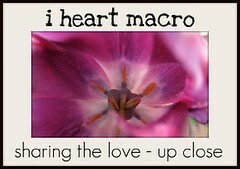 This Life Book on-line course is turning out, at the moment, to be rather 'deep thinking'! Bonnie Rose (this week's tutor) writes in her introduction: "This project is all about using symbolism to depict the very differet parts of yourself, coexisting in balance and harmony. It is a deeply personal and intensely introspective project .... to look inward into oneself, and represent, using archetypes or other imagery, both the light and dark aspects of your inner being . This is no small task!" 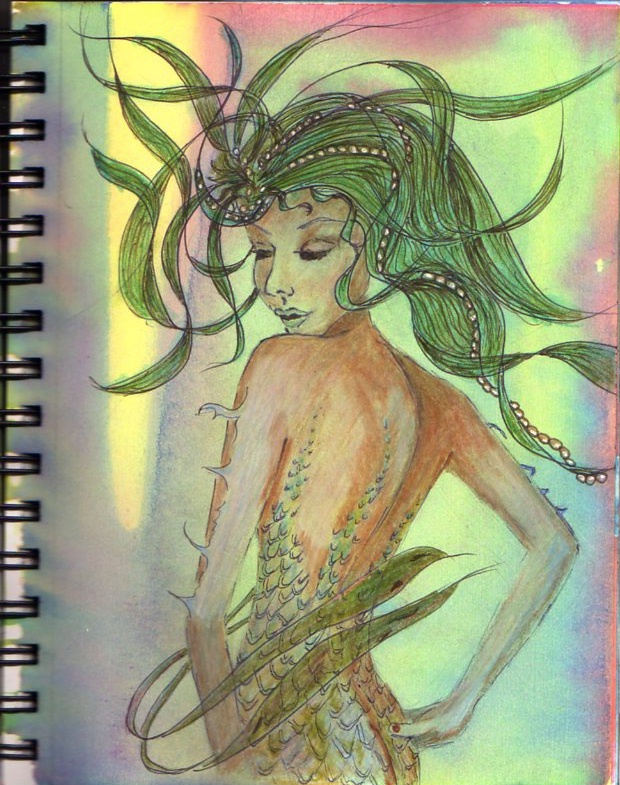 Bonnie illustrated the Workshop by drawing two Goddesses with various attributes written down, but she illustrated her drawings using ink, (a ballpoint pen) and hatching and cross hatching to create the shading and depth. 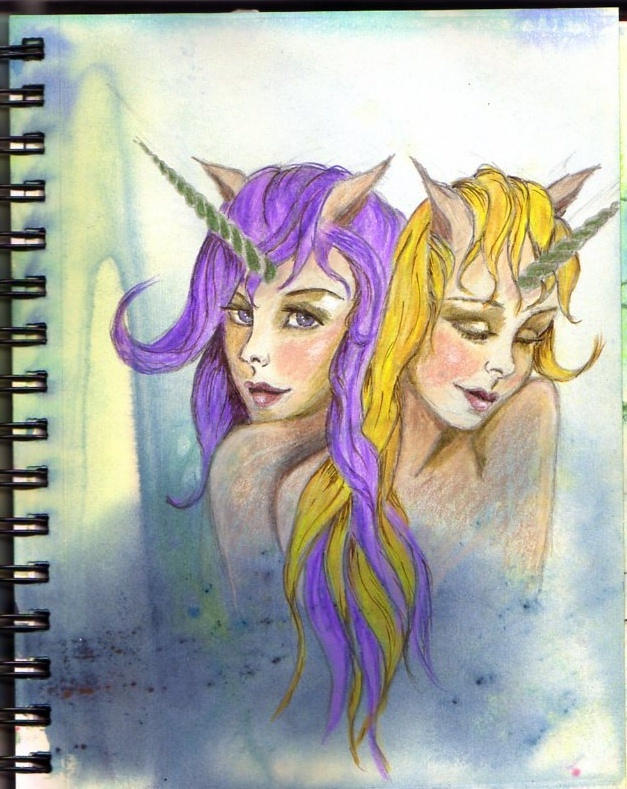 Here is the beginning of my two 'goddesses' (one public on the left and one private on the right). You can see I've been working on the left hand side with more hatching. I started by pencil drawing the portraits (not very much shading) and going over the drawing with the ball point pen, then rubbing out the pencil. Point of no return is when you start hatching with the pen 'cos you can't rub out! Anyway, this is my finished page, with a little colour added representing day and night or light and dark or sun and moon. and a few words. The idea is to realise everyone has 'two faces' but they work in harmony. This is the first time I have tried drawing in ball point pen - I loved it and will certainly try again!! 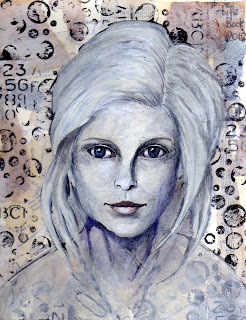 It is the first time I have tried to draw/paint a face, using an oval shape as a base, let alone a three-quarter face. It was familiar though, as I have made and painted faces on fabric dolls, so I did understand the instructions, although you wouldn't think so. It is amazing how drawing is one thng, then adding paint can completely change the expression etc. I am hoping to learn a lot from all these brilliant tutors over the coming year, and will post each page as I go along. I should then be able to see if there is any improvement!! We are going to bind all the pages together, into a book, at the end of the year, and the 'flap' shown here was part of Tam's instructions. She did say to stick collage paper on the back to form the 'hinge' but I don't have any suitable, so I used some fabric paper I made ages ago - worked a treat! This is the back of the page, which will show as the book is opened. I can always draw/write something on it to link to the next page, when I know what the next page is ....! If you would like to know more about Life Book 20l2, or even join in, click on the button on the left. Life Book 20l2 is also on Facebook and Flkr. Hello - my name is Val Thomas and I live in a very pretty part of North Devon, surrounded by farmland, lanes and beautiful scenery. I am very happily married, have been for quite some time, and have a lovely married daughter living about eight miles away. I also enjoy lots of other pastimes, not least of which is gardening. I do NOT do housework or mend socks! !